As we move closer to the opening date of our boutique hotel in the Cairngorms National Park, the rooms are taking shape, the second fix of wiring is underway and the detailed work of the craftsman is evident. 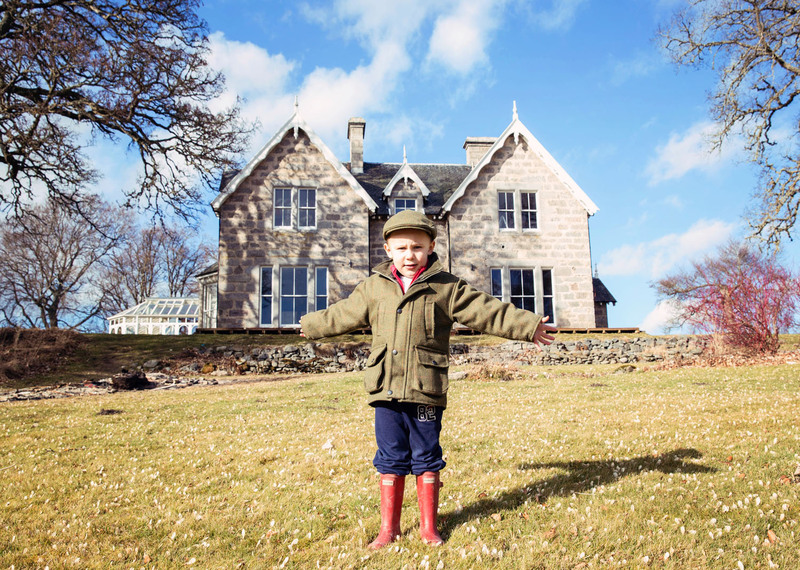 Muckrach Country House Hotel opens in April 2015, as a 4 star boutique hotel in the heart of the Cairngorms National Park. Set in 10 acres, surrounded by pastureland and a Scottish Castle, with mountain views and starlit night skies, Muckrach will be luxurious yet welcoming. The fixtures and fittings are rich & opulent and the people are warm & friendly to ensure that your stay is relaxed and comfortable. A Victorian Shooting Lodge built in 1860, Muckrach Country House Hotel offers the grandeur of the Victorian era combined with the modern comforts of underfloor heating, in-room entertainment, superking beds and ensuite bathrooms. Fabric wallpapers, Axminster carpets, chandeliers, rich colours and grand furniture enrich your Highland experience. Enjoy the outdoors with an array of activities such as fishing, field sports, winter sports, quad trekking, zip wiring, mountain biking, hiking, walking, climbing and the list goes on. Come back to Muckrach and let us look after you, put your wet boots in the drying room, sit back in a comfy chair and we’ll pour you a drink whilst you work on your appetite for dinner. To reach the point of a boutique hotel in the Cairngorms National Park, the trades-people are working at full pelt to ensure your stay will be as comfortable as possible. 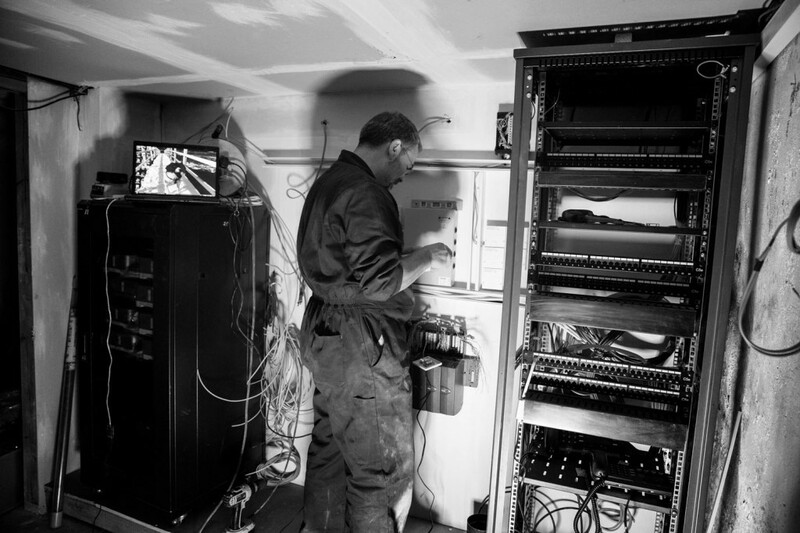 Hugh from Felix Communications has spent the last week in the basement wiring up the internal communications systems, a very complex job by the look of the wiring! The joiners are working their way through the hotel adding hand-crafted panelling to the rooms & hallways and hanging handmade doors between the public rooms. The craftsmanship is detailed with a beautiful finish. We are now liaising with bedding companies to ensure that the cotton bedding is soft & luxurious, discussing coat hangers, irons & hair dryers with hotel service companies, choosing between Axminster carpet patterns and ordering the beautiful fabrics ready for the curtain makers. The decorators have painted the ceilings, wallpapered walls in some of the bedrooms and the electricians are adding chrome light switches around the hotel. The recruitment for the hotel team has begun, starting with the Head Chef, the first of the second interviewees will be cooking a 3 course meal for us to demonstrate their talents (tricky part of our working day obviously!) Recruitment of the rest of the team will commence in 2015, with a view to be training and practicing by March 2015, ready for the grand opening in April 2015. 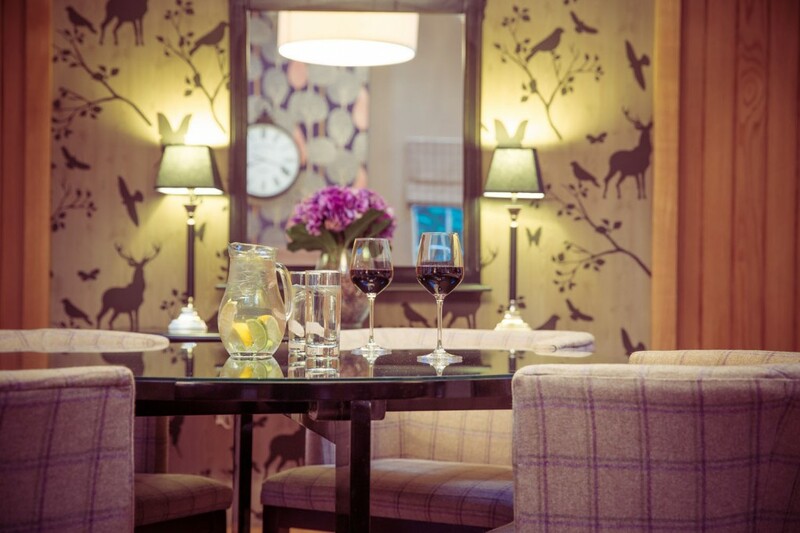 Muckrach Country House Hotel is an 11 bedroom boutique hotel in the Cairngorms National Park, with Coffee Shop/Restaurant open to non residents. A Victorian shooting lodge with contemporary comforts, such as in room entertainment, underfloor heating and modern furnishings to ensure that your stay is as relaxed and comfortable as possible. We hope you will join us to sleep, eat or for a wee blether! (Local words for a little chat) Whatever your reason for visiting you will receive a Highland welcome and become part of the clan.